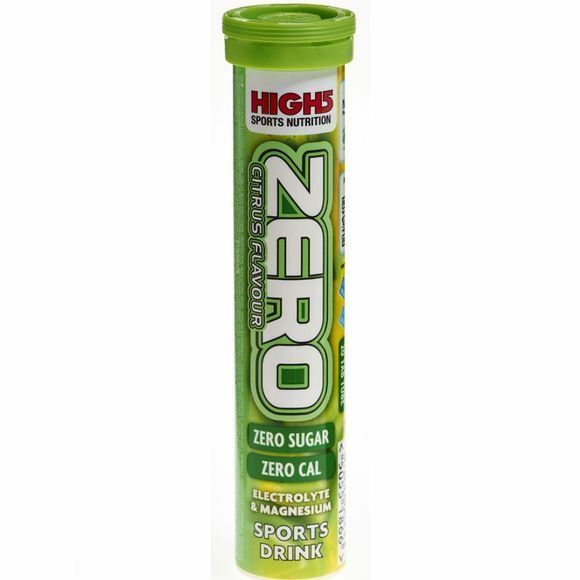 A very low calorie drink (1.4 cal per 100ml) with a light refreshing taste, Zero is packed with essential electrolytes to keep you hydrated and boost your performance. Zero is easy to use: drop a tablet in your bottle and it quickly dissolves in water to give you a delicious, refreshing, advanced electrolyte drink with added magnesium. The small recyclable tube contains 20 tablets and makes 15 litres of drink in your own reusable sports bottle, which means optimal hydration with less waste, good for the environment as well as for you! An essential part of any anti-cramp strategy as cramp has been linked to both dehydration and electrolyte imbalance; Zero is perfect for runners, cyclists, hikers, the gym, pro athletes, footballers, racket sports or anyone who wants to stay active and hydrated.